Do You Listen or Read? 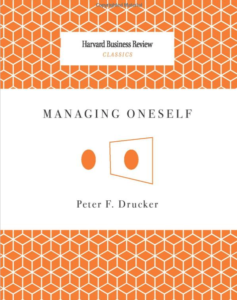 Recently, the staff and volunteer leaders that I work with read a book entitled “Managing Oneself” by Peter F. Drucker. It’s a great little book and I highly recommend it. The biggest impact of the book for me was a section on LEARNING. It’s important to know (in managing oneself) how you learn and process learning in order to achieve more in your life. There are some simple questions to ask. Am I a reader or a listener? Even if I’m a combination of both, one is usually higher than another. Do I process by writing or talking? Think about it. Do you make lists in order not to forget something, or do you share that story several times as you process what you’re learning. A great example of this a couple years when I had a heart catheterization done (read “My One Word for 2016″ blog if you want to know why). They drug the crap out of you, but you’re still awake when they shove the car antenna up your arm to shoot the dye through your heart and take video. They told me the drugs can cause an amnesia like effect, and I might not remember anything later on. Challenge Accepted!!! I literally shared the story of what I saw and experienced, from the moment they wheeled me out of the room to my wife, then when I was back in the room getting discharged, and again on the phone in the car ride home. I had to SPEAK IT OUT LOUD in order to lock it in to memory and process all that had just happened. Core Message: Set Free – Stay Free! Shannel Newton on Core Message: Set Free – Stay Free! Holly Graves on Where Are The Christian Intellectuals? ©2019 Matt Dawson. Powered by the Get Noticed! Theme.